Women with colour-treated hair know best how to hide grey shades or brighten up hair colour: they choose the best products for hair care and protection. 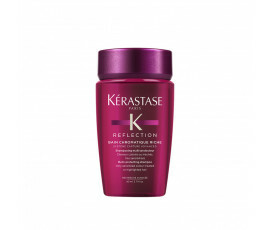 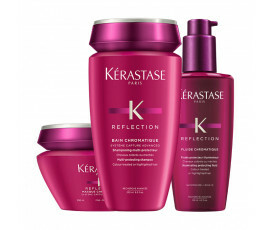 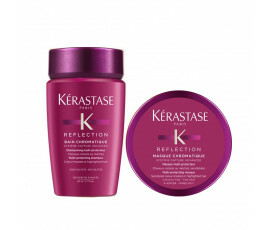 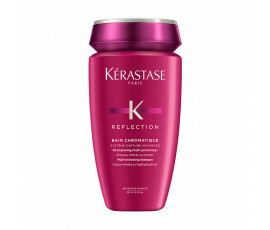 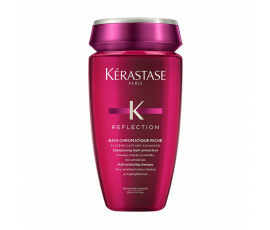 Kérastase takes care of coloured, sensitized or highlighted hair by creating Reflection, a range of multi-protecting colour care reflection treatments and the brand-new collection of 4 shade-reviving pens to blend with other treatments for prolonging shine. 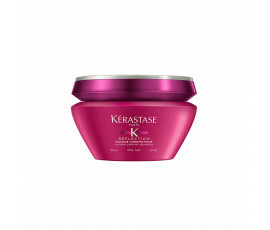 Women wish one simple thing: extending hair colour while protecting fibre. 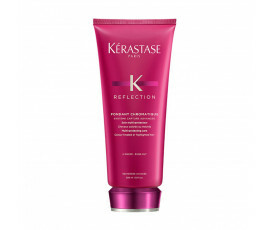 Exclusive patented technologies for fixing colours while totally respecting chemically-treated fibre. 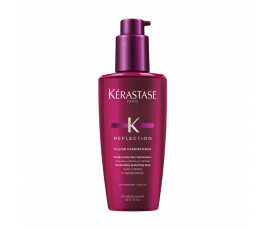 Kérastase has identified the water particles that are responsible for colour-fading; the new Système Capture Advanced with Chelators Complex neutralizes them while preventing their adhesion to hair fibre and providing shiny, nourished and protected hair.